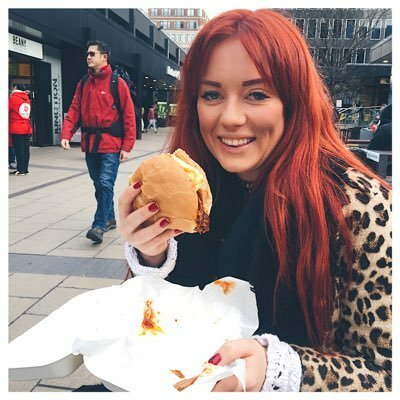 One of my favourite things about having this little old blog is being able to share my favourite foodie finds with you guys - and I'm really excited about this one. Like really, really. Yep! 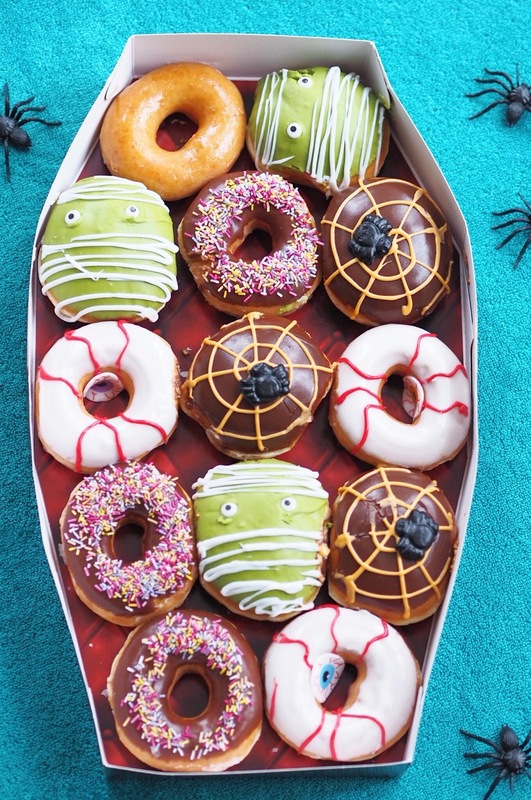 Halloween Doughnuts from the one and only Krispy Kreme! 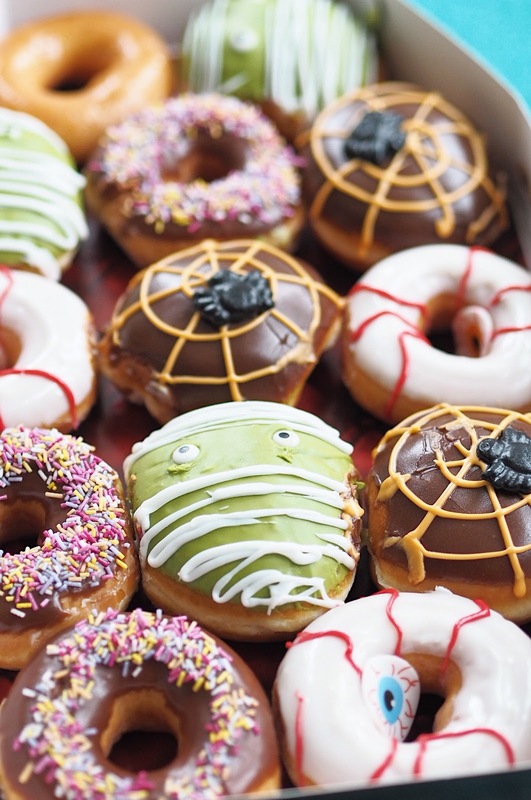 I LOVE doughnuts and I bloody love Halloween, so of COURSE I was going to love this eerie new range! 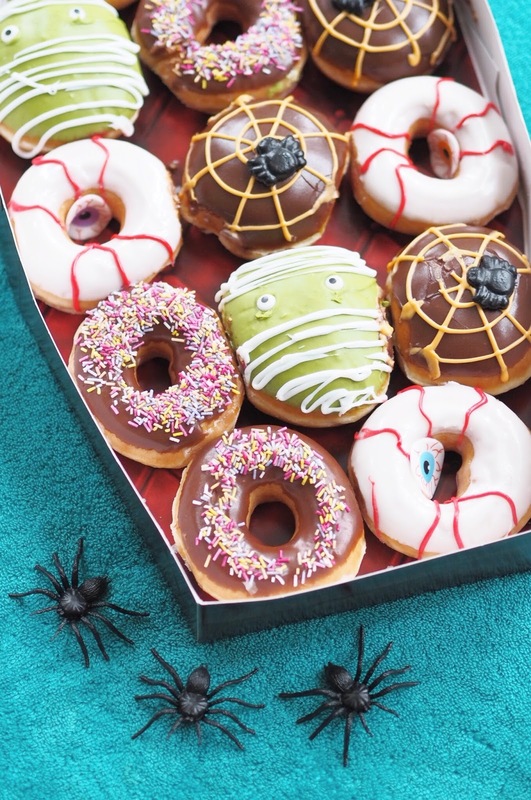 Taking inspiration from everyone's favourite spooky holiday, the team at Krispy Kreme has dreamt up four 'wicked' new flavours and I promise you're going to love them! The cutest, scary doughnut I've ever seen! This delicious number is filled with creamy chocolate brownie batter, generously coated in green icing and topped with white icing bandages and little eyes. Not one for the faint hearted! 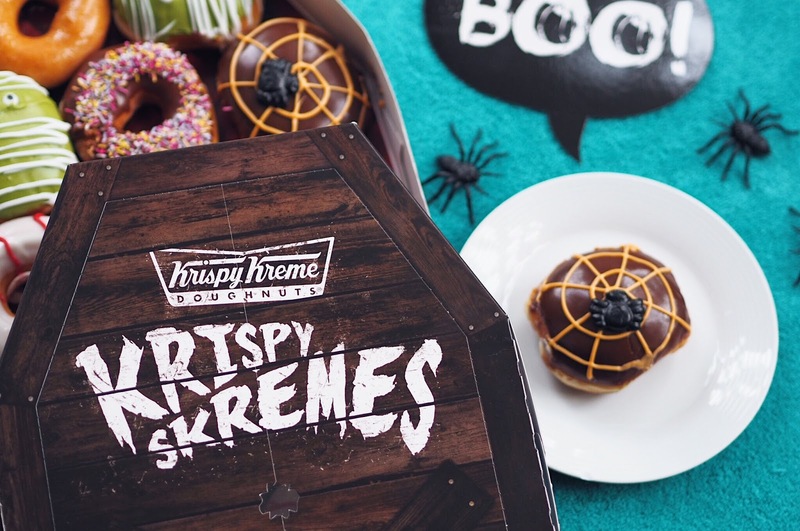 Hand dipped in chocolate icing and filled with Krispy's signature kreme, this creepy doughnut is finished with an orange spider's web and its very own eight legged creature! My absolute fav! A deliciously sweet Krispy Kreme ring doughnut, topped with white icing and decorated with red iced veins. There's even a creepy sugar eye to watch you as you tuck in! 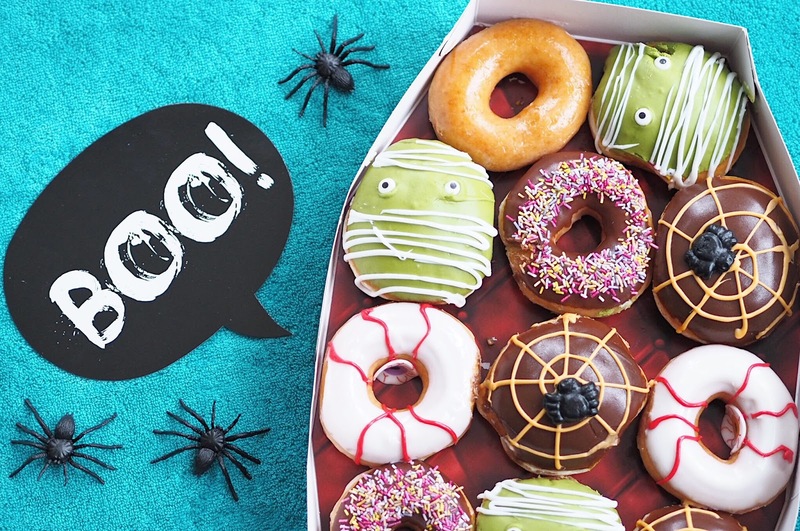 Last but by no means least, the Spooky Sprinkle doughnut uses the same signature ring but this time dipped in chocolate and topped with halloween-inspired orange and green sprinkles! Definitely more treat, than trick! Wow these look amazing! Can't wait to try them for myself.